This summer is the first summer I’ll be at home most days with the kids since I started my freelance adventure last fall. My 6 and 4 year old are bright, exuberant kids and I knew I’d have to add structure their days if I wanted any sanity. However, with my freelance work I don’t have the ability to be there every moment to guide their day (and who would want to?). It’s also great for fostering their independence as well. I went to work trying to find chore charts, but none of them were quite right. My 4 year old can’t read the text chore charts, and many of the picture charts were geared toward very little children, or had unattractive graphics. I needed something I could mount to the fridge somehow – I didn’t want a chart that required wall space. 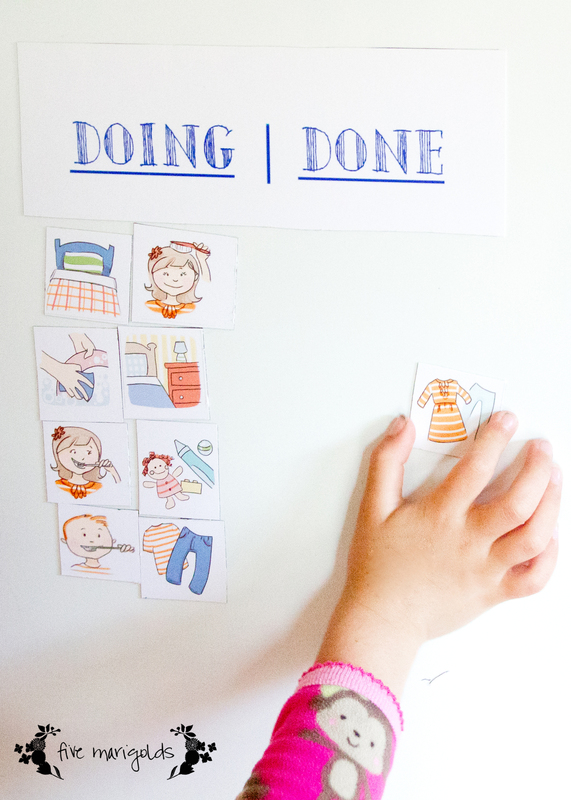 I landed on the concept of a magnetic chart with two categories: “Doing” and “Done.” I saw a few examples that I liked and got to work emulating those based on my needs. However, I needed clip art. It was SO hard to find cute clip art that would work for this! 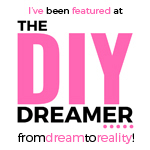 That’s when I stumbled upon Audrey Schilaty‘s blog. She had the exact chart I wanted – for free! Really, it’s the nicest free resource I’ve found. She offers both personal care and chore images, and I used a small combination of both (sad but true: I forget to have my children brush their teeth all to often). 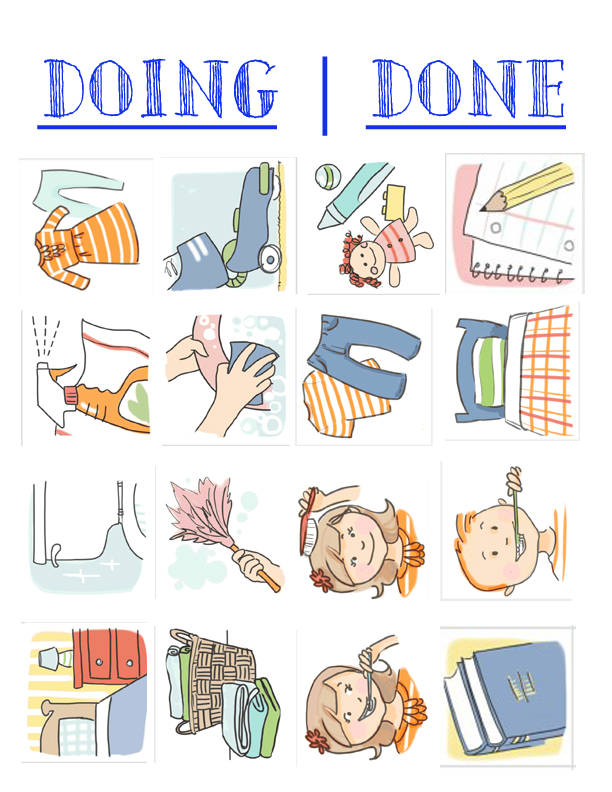 I drafted my own simple “Doing” and “Done” text document and used just the images I needed from her selection, so it would all print on one page, saving me money. I printed it on a glossy sheet of photo paper that I had on hand, and then just placed it on an 8.5×11 sheet of adhesive magnet. You can buy packages of adhesive magnet sheets at office supply stores, but I found the most inexpensive option for heavy sheets are on ebay – I got mine for just $3.59. I cut the small pieces to size, added them to the fridge, and voila – a clean, easy and inexpensive chart. 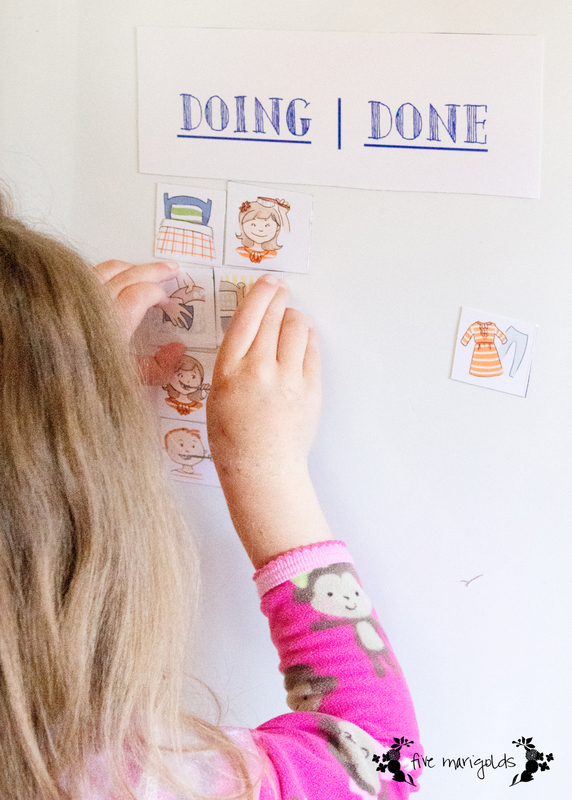 The kids woke up the first day and had moved two magnets over before I had a chance to remind them about it! So far, it’s been a great success. 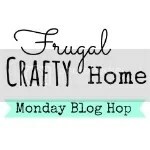 I encourage everyone to check out Audrey’s great blog. And, if you’d like a copy of the 1-page version of the printable I used to create my chart using her images, let me know and I’d be happy to send it to you. There you have it – a chore chart for just $3.59. What are your tips for keeping the kids structured in the summer? Let me know in the comments below. This entry was posted in Uncategorized and tagged behavior chart, Budget, Chore chart, diy, Ebay, etsy, Parenting, personal care chart on June 14, 2014 by fivemarigolds. My baby girl just turned one and because her birthday is exactly a week after Dub’s, I’ll admit I ran out of steam on the party planning. 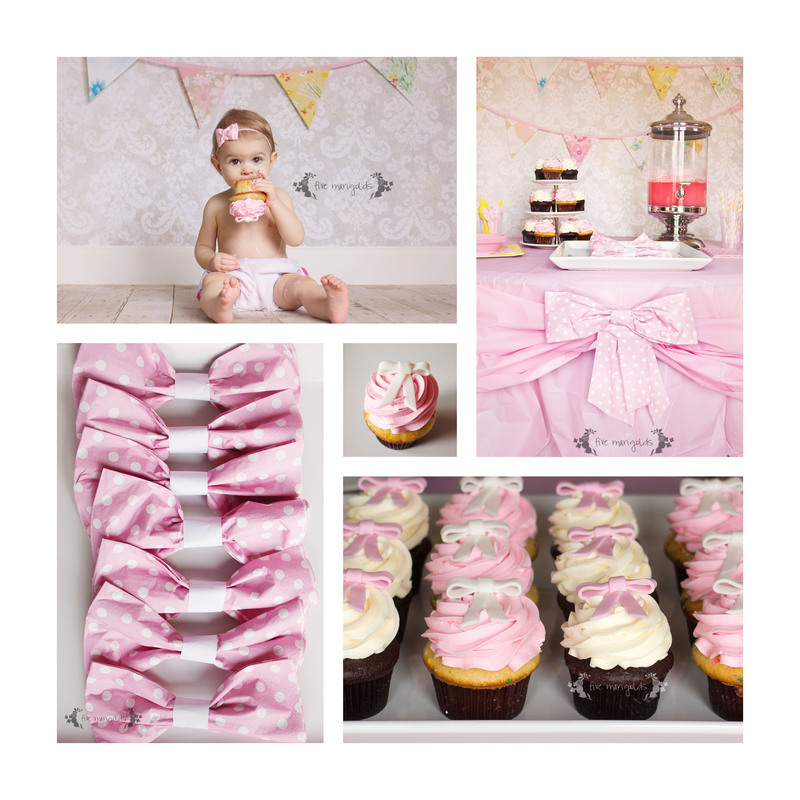 However, I wanted to do something special and celebrate as a family, and was able to put together a cute Bow Birthday theme really inexpensively. Birthday parties in general are somewhat inexpensive for us, because for each child we buy a few essentials that we reuse year after year. My Special Day chair covers that we reuse for birthdays, first days of school, and any day we want to recognize and celebrate each child individually. Additionally, we always save leftover party supplies such as napkins, plates and plastic cutlery and every few years we find we don’t have to buy these supplies at all because of that stash. That was the case for baby ‘Belle’s party. For the cupcakes, I whipped up a batch of vanilla and chocolate cupcakes and frosted them in pink and white buttercream frosting. I wanted them to carry out the bow theme, but because I’m lacking in fondant skills I purchased these toppers. You can find similar fondant bows on etsy. We served homemade vanilla ice cream and a simple punch using 7-Up and raspberry sherbet. I bought inexpensive plastic tablecloths from the dollar store and used one of them as a decorative sash across the front. Next, I made bow napkin rings – I love how these turned out! I bought rectangle shaped napkins at the party supply store, but you could do this by folding traditional napkins in half. Simply pinch them in the middle, place them on top of your cutlery and wrap a small band of paper around the bow, secured with tape. I used leftover napkins to make the bow you see on the front of the table to carry the theme through. I took a little photo shoot of baby ‘Belle sporting her birthday bow. I’d say the cupcakes were a hit! This entry was posted in Birthday and tagged 1st, birthday, Bow, bows, cupcakes, diy, dollar tree, etsy, first birthday, girl, inexpensive, Minnie Mouse, party city, reuse, upcycle on March 22, 2014 by fivemarigolds.